It's been a while since gentle indie rocker Andrew Bird loosed new tunes on his listeners. While he did release Useless Creatures in October, the instrumental offering technically came out at the beginning of 2009 in a deluxe edition of his Noble Beast record. Though he hasn't announced a new studio set, the whistle enthusiast has given us a new live record, which can be purchased now on his website. 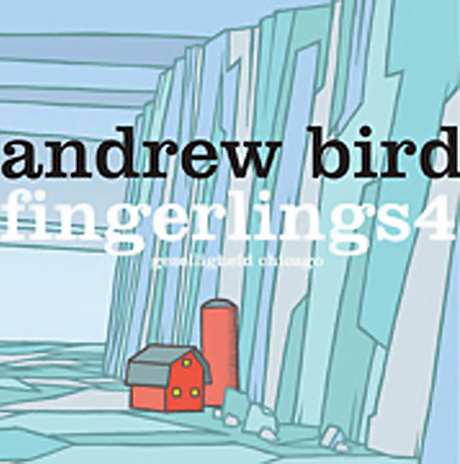 As the fourth instalment in his Fingerlings series, which started back in 2004, his latest live set was recorded last December at the Fourth Presbyterian Church in Chicago, IL. The show was part of his "Gezelligheid" tour that saw him performing in a number of churches. You can check out the tracklisting for the new Fingerlings, as well as some upcoming tour dates (including another couple of stops at the Fourth Presbyterian Church) below. 4. "You Woke Me Up!" 9. "Meet Me Here at Dawn"